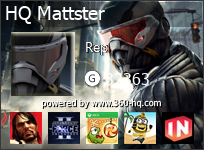 360-HQ.COM :: Help with Battlefield: Bad Company Achievement!!!?? Anyone?? Help with Battlefield: Bad Company Achievement!!!?? Anyone?? Post subject: Help with Battlefield: Bad Company Achievement!!!?? Anyone?? 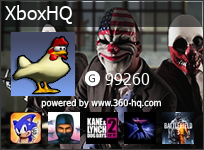 Im keen to finish off my BFBC achievements and need a hand to finish off some of the harder ones like spawn on your team/squad or whatever and the helicopter ones.. Anyone want to meet up and muck around?? Reply here. Sounds like a plan mattster.. This weekend is 1943 HQ game weekend and next week we will play some Bad Company.. heheh Can't wait!